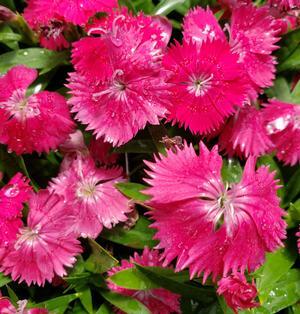 Dianthus is a great annual for spring, summer, and fall. Ideal Select Rose features a solid red flower. There are more than 300 species of dianthus, which means “divine flower.” It is a fast flowering plant and the best branching inter-specific series on the market. It is naturally compact, extremely uniform and free flowering. 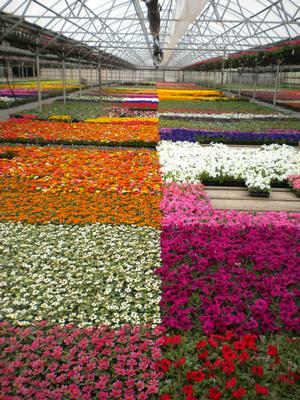 This colorful annual is an early bloomer, is frost tolerant and has good garden performance throughout the season. Dianthus thrives in fertile, fast draining soil. It should be watered 2-3 times a week until it becomes established. After that point, a weekly watering will be adequate to grow great looking dianthus. Worn-out flowers should be removed promptly to promote more blooms. This plant can produce richly fragrant flowers in the spring and summer. 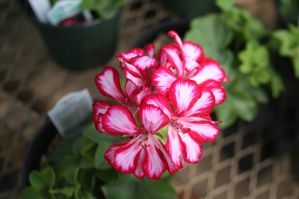 When purchasing dianthus, you should look for plants with clear green or grayish green foliage. Many plants will be in flower when you purchase them, most will at least be budded. 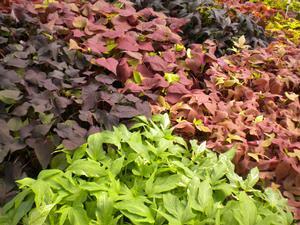 Be sure to look for other great colors such as red, white and mix when purchasing your spring, summer or fall plants.